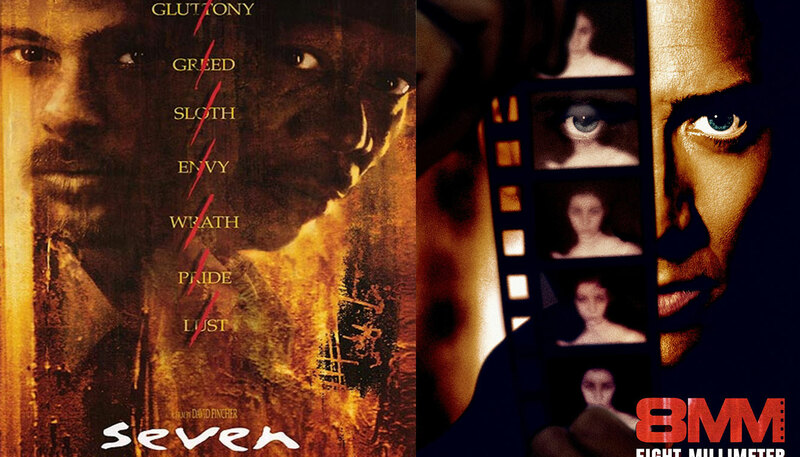 7 and 8: Two very relevant numbers in screenwriter Andrew Kevin Walkers’ career. In the articles that follow, Walker describes how everything went so right with David Fincher’s “Seven” and so wrong with Joel Schumacher’s “8mm”. Two very dark thrillers indeed: One, a great modern classic; the other one, a very big miss. From The Guardian, Butcher my script and I’m outta here and from Uproxx.com, ‘Seven’ Screenwriter Andrew Kevin Walker Looks Back At What’s Inside The Box, 20 Years Later. Good dark stuff. This entry was posted in LINKS on screenwriting, POSTS on screenwriting, SCREENWRITING and tagged 8mm, Andrew Kevin Walker, Se7en, Seven. Bookmark the permalink.